EVAN J. YEGELWEL is a partner of the law firm of Terrell Hogan Yegelwel, P.A. and has been a member of the firm for over 34 years. 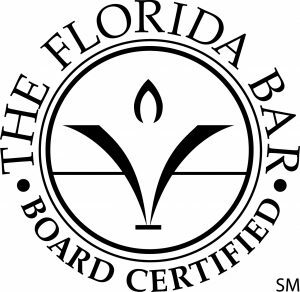 He is a Florida Board Certified Civil Trial Lawyer, has focused his personal practice in the field of personal injury, products liability and mass torts. Mr. Yegelwel is a member of The Florida Bar, the D.C. Bar, The United States Supreme Court, the United States Court of Appeals for the Eleventh Circuit, the U. S. District Court for the Northern District of Florida, the U. S. District Court for the Middle District of Florida, the U. S. District Court for the Southern District of Florida, the District of Columbia Court of Appeals, and the United States Court of Federal Claims. Mr. Yegelwel chaired the Jacksonville Bar Association trial advocacy retreat seminar for almost a decade. He has chaired seminars for the Academy of Florida Trial Lawyers and has lectured nationally and internationally on toxic torts. He was a member of The Florida Bar Grievance Committee 1992-1995 and 2011 to 2014, and serving as Chair of the Fourth Judicial Circuit Grievance Committee in 2014, and is currently a member of the Jacksonville Bar Association, American Bar Association, Florida Justice Association (formerly Academy of Florida Trial Lawyers), Endowment for Academy Giving to Law and Education and American Association for Justice (formerly Association of Trial Lawyers of America). He served on the Executive Committee of the Chester Bedell Inn of Court, served as Counselor for the Chester Bedell Inn of Court (Emeritus), and is past-President (2003) of the Jacksonville Chapter of the American Board of Trial Advocates (ABOTA). Mr. Yegelwel graduated from Rutgers College in 1977 (B.A. with Highest Honors) and was elected into Phi Beta Kappa. 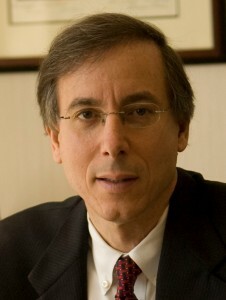 He graduated from the University of Florida, Holland Law Center in 1980 (J.D. with Honors), received the Book Award in Law and Medicine, and was elected into the Order of the Coif. Mr. Yegelwel is a former Trustee of the University of Florida School of Law (now serves as Trustee Emeritus) and was a member of the Executive Committee of the University of Florida College of Law Alumni Council. In 1995 he established The Evan J. Yegelwel Book Award in Environmental Law: Toxics – Established in Honor of Professor E. L. Roy Hunt. In January of 2000 Mr. Yegelwel founded The Evan J. Yegelwel Fellowship Fund, which supports legal internships for University of Florida law students in conjunction with the Anti-Defamation League concentrating on the prevention of all forms of anti-Semitism, racism and bigotry. Mr. Yegelwel was featured in the 2006-2019 editions of The Best Lawyers in America in the field of Mass Tort Litigation; Florida Super Lawyers 2006 and 2007 in the area of Personal Injury Plaintiff: Products and in 2008-2019 in the area of Class Action/Mass Torts; in the July 2006 issue of Florida Monthly magazine as one of Florida’s best lawyers in the field of mass tort litigation; and in 2013 recognized as one of Jacksonville Magazine’s Top 904 Lawyers. 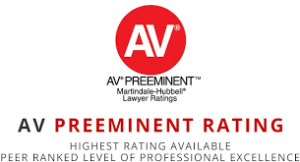 He has been given the Highest Peer Review Rating (AV) by Martindale-Hubbell since 1994. In 1997 he was the recipient of the Israel Bonds 50th Anniversary – “Independence Issue” Award, and in 2001 he was the recipient of the Jacksonville Jewish Federation’s Martin Luther King, Jr. Award, the Boy Scouts of America Whitney M. Young, Jr., Service Award, and the Jacksonville Jewish Center Men’s Club “Man of the Year” Award. In 2009 Mr. Yegelwel received the prestigious Anti-Defamation League Jurisprudence Award. Mr. Yegelwel received the Spartan of Thermopylae Award presented by the North Florida Trial Lawyers on November 19, 2012. Received ABOTA’s 2013 Presidents’ Award and FJA’s 2015 EAGLE Legend Award. In 2017 he received the Scott P. Zimmerman Minyannaire of the Year award. Mr. Yegelwel served on the Executive Committee and the Board of Directors of the Jacksonville Jewish Center for over two decades and served as President and Chairman of the Board of the Jacksonville Jewish Center from June, 1996 through June, 2000. He presently serves on the Florida Regional Board of the Anti-Defamation League, formerly served as an Associate National Commissioner for the Anti-Defamation League, served on the National Executive Committee for AIPAC and was AIPAC Northeast Florida Chair for over 25 years. Mr. Yegelwel currently serves as a Regional Council Member of The ALS Association Florida Chapter. In 2014, established the Evan Yegelwel Fund which supports ALS research and patient care. In 2014, The Yegelwel Family Foundation established the Evan and Arlene Yegelwel Endowed Fund for Primary Lateral Sclerosis Research and Care to support primary lateral sclerosis research and care at Massachusetts General Hospital. Mr. Yegelwel served as a United Way Achievers for Life Partnership Council Member. He served as the first President (1992-1995) of the Foundation for River Garden Hebrew Home for the Aged, a 70-year old not-for-profit, non-sectarian nursing home, and initiated the Foundation’s successful endowment campaign. Mr. Yegelwel served on the Board of Directors of the Jacksonville Jewish Federation for 16 years. He has served as Finance Chair for the North Florida Council of Boy Scouts’ Mohawk District, which serves scouting in public housing communities and served on the Board of Directors of Edward Waters College, the oldest African-American college in the State of Florida. Mr. Yegelwel also has served as co-chair on the finance committees for numerous charitable organizations and political campaigns. 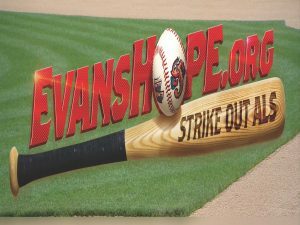 In 2017 Evan, along with wife Arlene, friend Steve Sherman and the Terrell Hogan Yegelwel law firm created the Evan’s Hope endowment at The Mayo Clinic in Jacksonville for ALS research. Evan Yegelwel has been married to his wife, Arlene, a kindergarten teacher, since 1979 and is the proud father of two daughters, Esther (Mike Raffol) and Tania (Jordan Moser), and grandfather of twins Jack and Eliana Raffol.